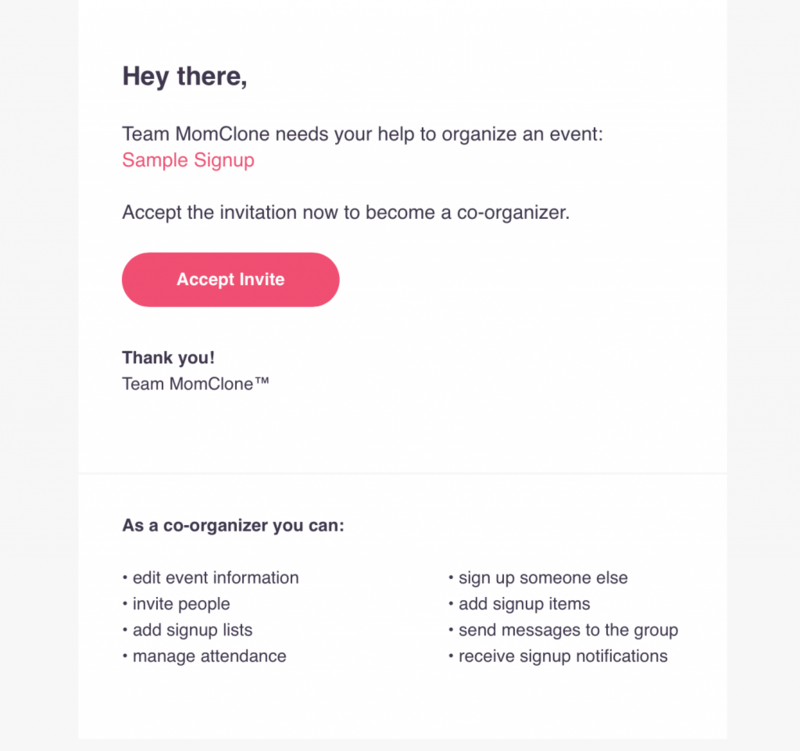 Need a little help managing your event or signup? 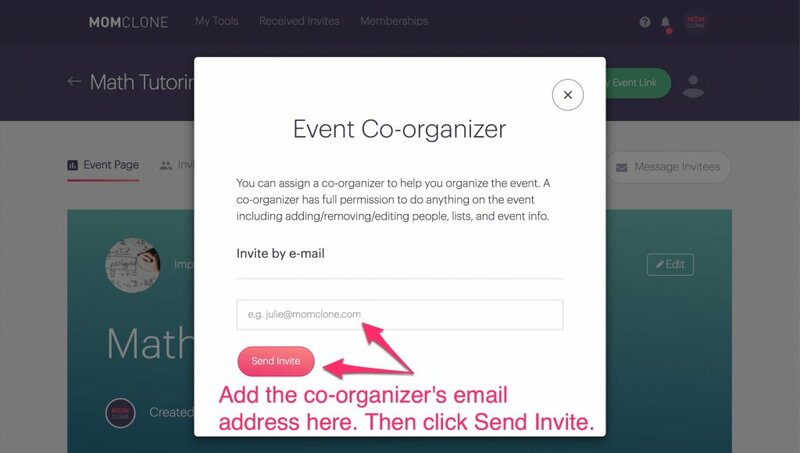 You can add a co-organizer to any event or signup in your Signup Tool or Team Tool. Click the icon (see below). We send an email invitation to the address you entered inviting the person to be your co-organizer for the event. You’ll receive a confirmation email when she accepts your invitation. 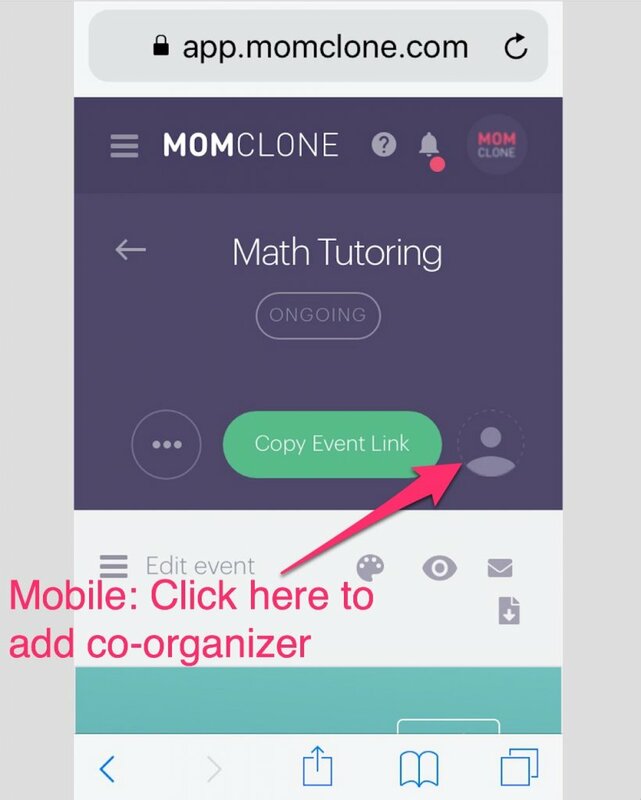 If your co-organizer already has a free MomClone account, she can login. If she does not, she will need to create a free account. (She’ll be prompted to do this when she clicks on the Accept button on her co-organizer invitation email). 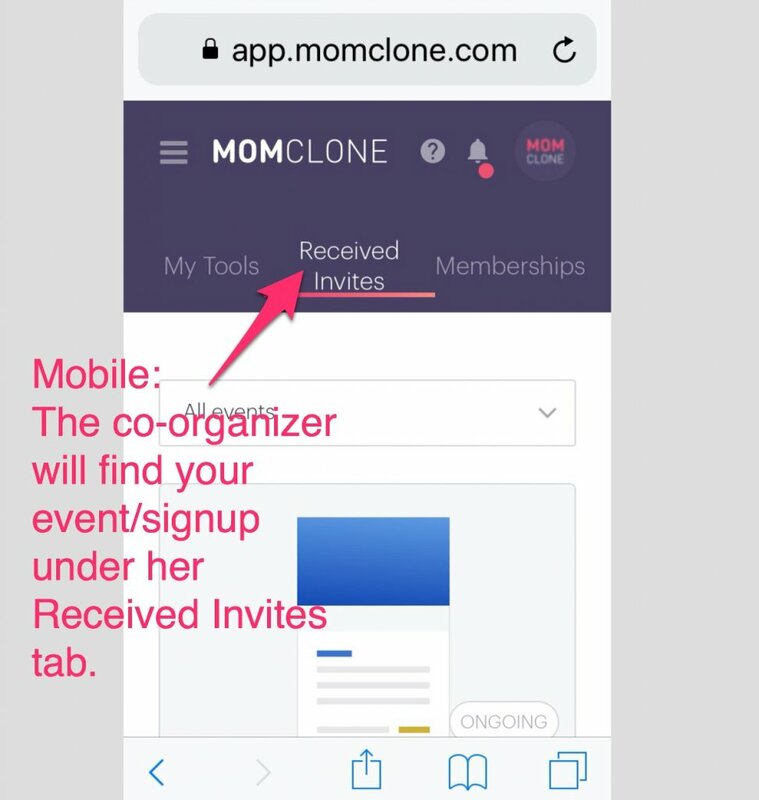 Your co-organizer will find your event/signup under the Received Invites tab. 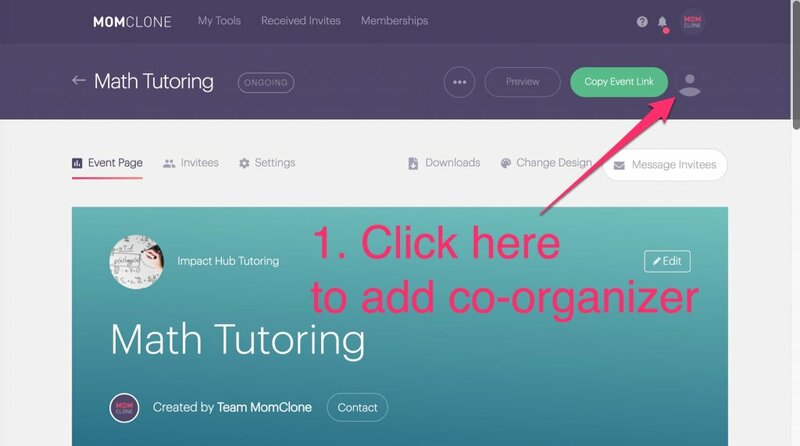 Can I have more than one co-organizer? No. 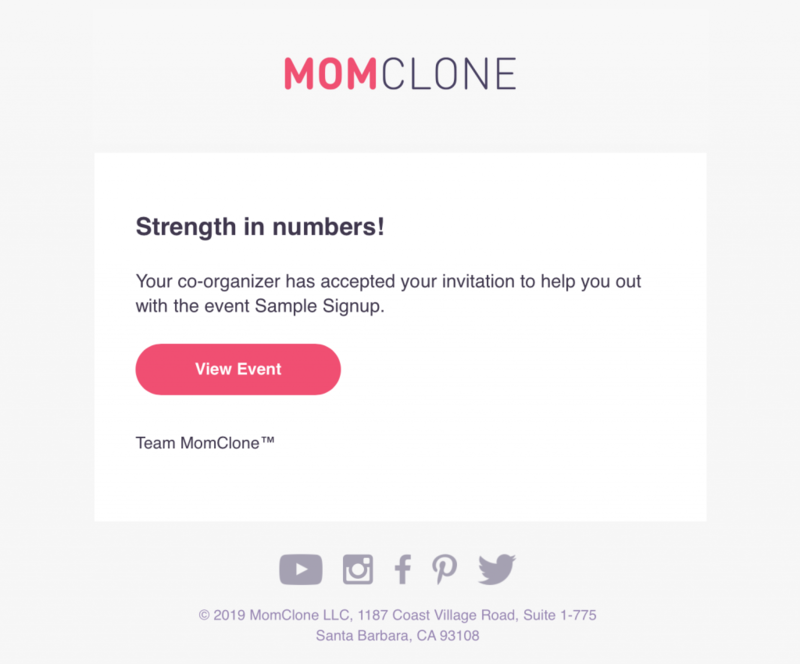 BUT, you can have one co-organizer for each event/signup. So for example, if you’re in charge of a fundraiser, you can have one co-organizer for the live auction, another co-organizer for the silent auction, another co-organizer for sponsors, and another co-organizer for decorations. 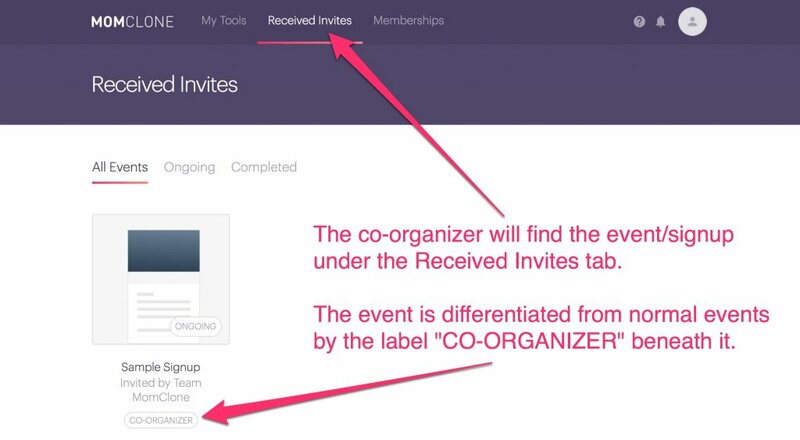 What does the co-organizer have access to? She cannot access your Account Settings. So she has no access to your billing area. She cannot create Collect Money Lists unless she sets up the Collect Money feature in her own account (monies can be directed to deposit into the same account that your organization is using).